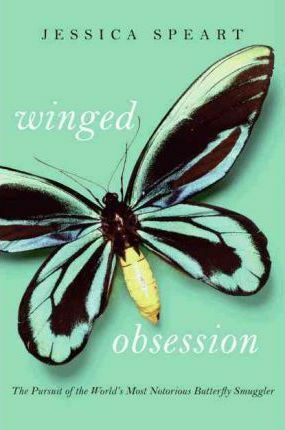 winged obsessionThe Pursuit of the World's Most Notorious Butterfly SmugglerOne of the world's most beautiful endangered species, butterflies are as lucrative as gorillas, pandas, and rhinos on the black market. And in this cutthroat $200 million business, no one made more money than--or posed as great an ecological danger as--Yoshi Kojima, the kingpin of butterfly smugglers.Determined to capture Kojima, rookie U.S. Fish and Wildlife Agent Ed Newcomer became close to the smuggler, posing as a young apprentice eager to learn the smuggling trade. But twice the agent's inexperience allowed this criminal, with a nearly supernatural sense of survival and an overwhelming sense of paranoia, to get away.Just when it seemed Kojima was out of reach, Newcomer was given one last chance to reel him in. Somewhere in the hunt, Kojima had become obsessed with the agent. This obsession, along with his continued mania for butterflies, could finally spell the downfall of the untouchable smuggler.But the story doesn't end there. Working under-cover to research this book, Jessica Speart befriended Kojima as well. Like Newcomer, she was going to betray Kojima. What she didn't know was that this cagey smuggler was planning to turn the tables and use her as a patsy for continuing his illegal butterfly trade.